Model visualizations open in Mechanics Explorer—the Simscape™ Multibody™ visualization utility. By default, Mechanics Explorer starts automatically when you first update a model (Simulation > Update Diagram) or simulate a model (Simulation > Run). To change this setting, see Enable Mechanics Explorer. 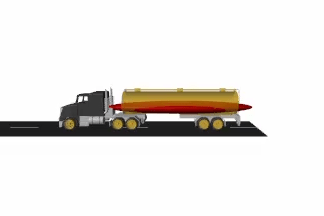 The visualizations consist of the multibody subassemblies, compound bodies, and simple bodies present in your models. Mechanics Explorer displays model entities such as solid geometries, spline curves, inertia icons, and frames. You can selectively show and hide individual entities using the context-sensitive menu of the Mechanics Explorer tree view pane. See Selective Model Visualization. A visualization is static when you update a model and dynamic when you simulate a model. The static visualization in this case shows the model in its initial configuration, with the joints in their initial states. The dynamic visualization shows a 3-D animation that you can record—using either Video Creator or the smwritevideo function—see Create a Model Animation Video. You can manipulate the viewpoint using the tool strip located above the visualization pane. 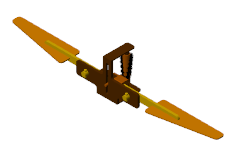 The tool strip enables you to rotate, roll, pan, and zoom the model view. A Camera Manager enables you to create dynamic cameras that move with the model to keep it in view during simulation—see Visualization Cameras. At the MATLAB® command prompt, enter sm_cam_flapping_wing. 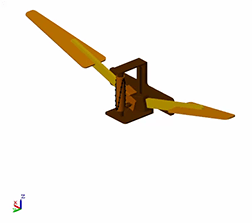 The model shown in the flapping-wing featured example opens. In the Simulink® menu bar, select Simulation > Update Diagram. Mechanics Explorer opens with a view of the model in its initial state. Select Simulation > Run. Mechanics Explorer plays an interactive 3-D animation based on the simulation results. Equivalent inertia ellipsoids provide an intuitive means to visualize variable inertias (modeled using the General Variable Mass block). These ellipsoids are rendered dynamically, with their dimensions and poses obtained at each time step from the specified instantaneous inertial properties. Ellipsoid visualization is not available on model update. Variable inertial properties are specified through physical signals whose values are inaccessible to the blocks until the simulation begins. Blocks such as Solid and Spline provide visualization panes that show the geometries specified in the block Parameters sections. Use the block visualizations to catch geometry errors as they occur—for example, incorrect dimensions, colors, and, in Solid blocks, frame placements. The block visualizations are similar to those provided in Mechanics Explorer. You can rotate, roll, pan, and zoom the view using a tool strip located above the visualization pane. 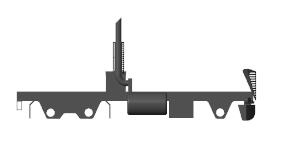 The tool strip includes buttons for standard views such as Front, Top, and Isometric. You can show or hide the frames of the block. You can refresh block visualizations without updating or simulating a model. The visualizations refresh the moment you click the Update Visualization button in the visualization tool strip. Using MATLAB variables in block parameters does not affect your ability to refresh a visualization. At the MATLAB command prompt, enter smnew to open the Simscape Multibody model template. The template contains commonly used blocks, including Solid. Open the Solid block dialog box. The visualization pane is by default expanded to show an isometric view of the default solid—a gray brick. Set the Graphic > Color parameter to [0.5 0 0]—an RGB vector corresponding to a dark red color. Click the Update Visualization button, located above the solid visualization pane. The visualization updates to show what is now a red brick. You can import solid geometries from STEP or STL files. 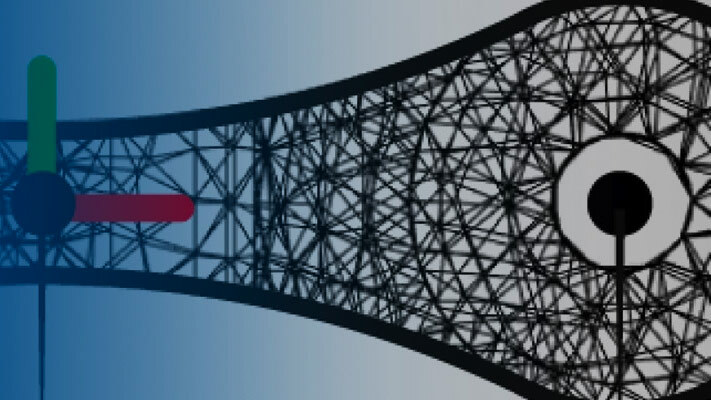 Corrupt or invalid geometry files cause visualization and simulation issues. Geometries associated with such files are not shown during model visualization. The corresponding solid inertias cannot be automatically computed from the solid geometries and the simulation fails if the Inertia > Type parameter is set to Calculate from Geometry.